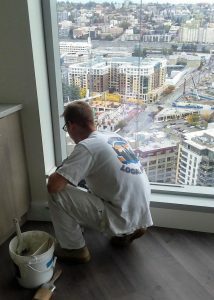 Long Painting Company is applying the final touches on the McKenzie Luxury Apartment Tower located in the Denny Triangle of downtown Seattle. By the time the project is complete, we will have put in over 53,000 man-hours on the job. 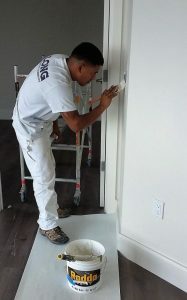 On average, the man-hours equate to roughly 18 painters for 17 months. That is a lot of hours! 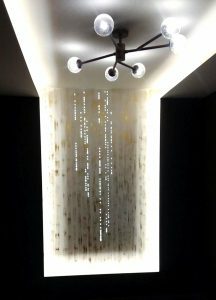 Part of this project included applying a LED wallcovering in the lobby, which is stunning! Click here to watch this project transform.